Our aim was to characterize the type and frequency of oral soft tissue alterations in neurofibromatosis. A total of 103 patients with neurofibromatosis 1 (NF1) and three patients with neurofibromatosis 2 (NF2) were clinically evaluated for their oral soft tissue alterations. Disturbing growths were removed from nine patients with NF1 and from one patient with NF2. The specimens were analyzed using routine histological methods and with immunohistochemistry using antibodies to S100, type IV collagen, CD34, neurofilament, and neuron-specific tubulin (TUBB3). 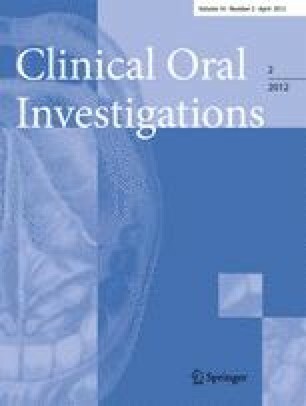 Alterations including oral tumors, overgrowths of gingival soft tissue, and enlarged papillae of the tongue were discovered in 74% of NF1 patients. The results showed that three tumors clinically classified as plexiform neurofibromas and five out of six discrete mucosal tumors displayed histology and immunohistology consistent with that of neurofibroma. The histology of one palatal lesion resembled that of a scar, and the lesion removed from the patient with NF2 was classified as an amyloid tumor. To conclude, oral soft tissue growths are common findings in NF1, but most lesions do not require treatment and the patients may even not be aware of these alterations. Collagen IV, S100, and CD34 are useful biomarkers in the analysis of NF1-related oral soft tissue tumors. The clinicians should recognize that oral soft tissue alterations are relatively common in NF1. Some of the growths are disturbing, and plexiform neurofibromas may bear a risk of malignant transformation.